Although there are numerous buildings constructed in the Art Nouveau style, some gained more recognition than others. One such building is the Glasgow School of Art. The school was designed by Charles Rennie Mackintosh while he was a junior draughtsman with Honeyman and Keppie. Mackintosh had actually enrolled at the Glasgow School of Art in 1883 and had established his artistic reputation while there (huntsearch.gla.ac.uk 2006). While he did take a tour of Italy, Mackintosh was firmly rooted in designing with a Scottish mindset. He knew that the architecture of Italy and Greece would not suit the environment of Scotland (greatbuildings.com 2013). He was able to take advantage of available space and lighting to produce a building that would suit the needs of society. However, while serving a functional purpose, the design was also elegant and detailed. Each design complimented the others and created a sense of wholeness and completion (CRM Society 2013). 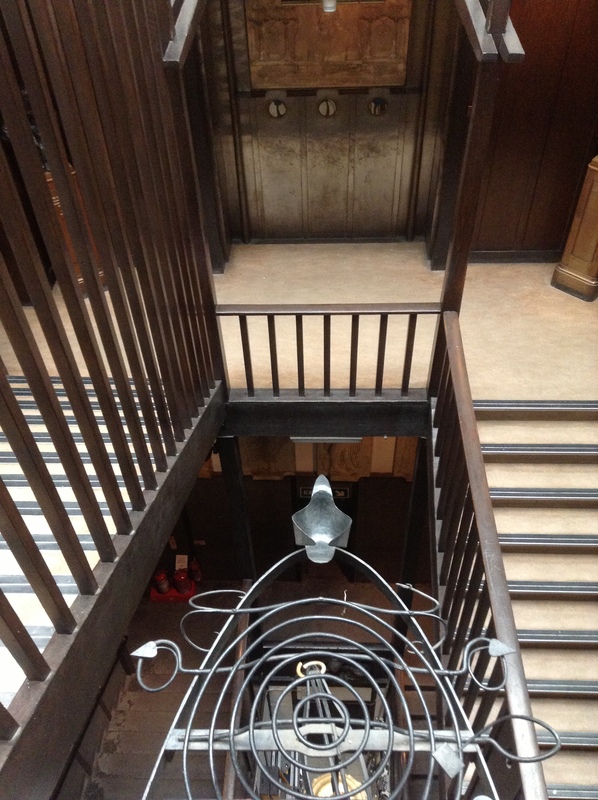 Perhaps it was for this blend of functionality and beauty that headmaster Francis Newbery loved Mackintosh’s draught design for the new Glasgow School of Art (GSA). While many, including the GSA website, attribute the need for a new building to the growth of the school under Newbery, the need actually traces back to the previous headmaster. According to The British Architect dated 22 December 1882, the growth promoted by the work of headmaster Mr. T.C. Simmonds lead to the need for a new GSA building. A detailed account is given regarding the increase in the number of students enrolled, as well as the quality of the work produced by those students. The Lord Provost at that time hoped that new accommodations would be built soon, and his plan was to purchase land for £40,000, and then raise a further £105,000 for the construction of the buildings. However, the committee would not agree upon construction of a new building unless a complete scheme was presented. Although this meant that the building of a new GSA was postponed, everyone agreed that a new building must be constructed. As the article explains, there was a competition between France and the United Kingdom (UK) regarding the development of arts and science, including architecture. It was stated that the UK must continue progressing in order “to make the French people tremble in their shoes” (The British Architect 1882). It is here that Francis Newbery and Mackintosh step into the picture. Mackintosh enrolled in the GSA in 1883 and began to build his artistic reputation. In 1885 Newbery became headmaster, and the school’s enrolment figures continued to grow, as did its reputation in the arts and sciences. Moving forward in time, by 1896 a new school building became a necessity and a competition was held for the construction of the facilities, to which Honeyman and Keppie submitted a draught. Mackintosh had joined the Glasgow architect firm in 1889, and it was his design that was submitted for the new building. Newbery was already familiar with Mackintosh’s style, having been his headmaster and overseen some of his work. He praised the draught highly and the education authorities in London approved the decision. Finally, after years of desiring a new building, the construction could begin (gsa.ac.uk 2013). While construction did begin in 1897, the full vision Mackintosh had for the building could not come to pass. Since the Bellahouston trustees only provided a budget of £14,000, construction could only begin on the central and eastern half of the building (gsa.ac.uk 2013). Even with these sections additional funding had to be raised, as the estimated cost was £18,000 (The British Architect 1897). These sections were completed in 1899. The financial limitations did not deter Newbery from trying to complete Mackintosh’s design for the school. 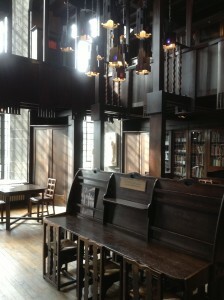 Newbery and the Board of Governors worked for eight years to secure the funding required for Mackintosh’s design. As a result, construction of the west wing of the building began in 1907, and the entire building was at last completed in December 1909 (gsa.ac.uk 2013). While Newbery was working to secure funding, Mackintosh used the time to revise his designs for the building. Mackintosh incorporated a mixture of styles in the west wing and used modern technology and materials to achieve his design. When the west wing was constructed, it had a distinct 20th century look that differed from the previous sections completed in 1899. Over the years the school, particularly the west wing, gained recognition for its design, being exemplary of the Art Nouveau style. Since its completion in 1909, the building has become an object of architectural significance and is included in a list of buildings protected by statute. In 2007 a project began to restore the GSA to its original condition. 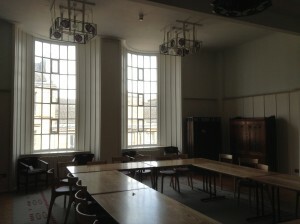 Some of the changes included adding back in Mackintosh’s vista in the main corridor and replacing the partitions he had built between the studios (Design Week 2007). Another architectural change was the addition of a new building opposite the GSA. While not a Mackintosh, the architect Steven Holl paid tribute to Mackintosh in his design. Holl wanted to compliment the GSA design and reflect Mackintosh’s manipulation of light (Porter 2010). Today, the school must balance maintaining the building as a place of education, an object of cultural and architectural importance, and an attraction for numerous tourists every year (gsa.ac.uk 2013). 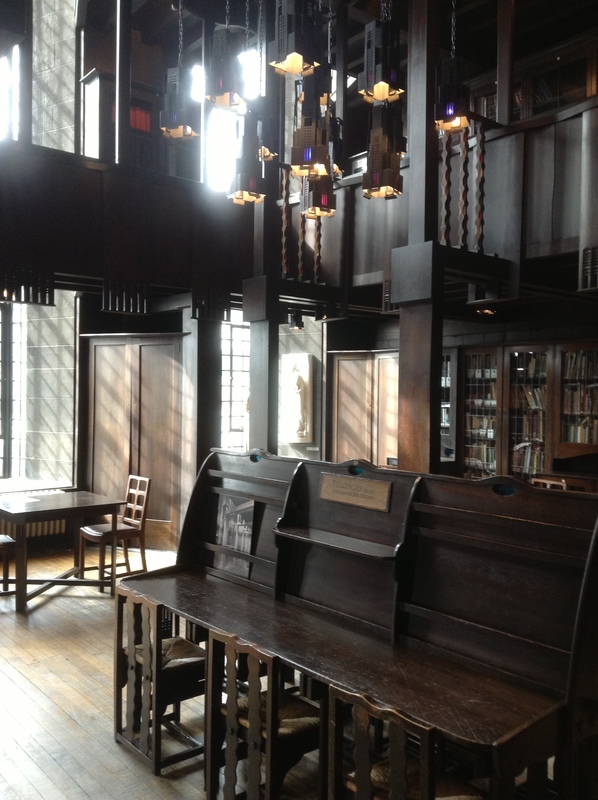 Glasgow school of art set to restore mackintosh vision. 2007. Design Week2007, sec 22. Glasgow school of art buildings. 1897. British Architect, 1874-1919 337-338. Proposed new school of art buildings for glasgow. 1882. British Architect, 1874-1919 18, (25) 612-612. Porter, David. 2010. Glasgow school of art wasn’t searching for a star. (building design). Architects’ Journal 232, (18) 10.